From the last technical rehearsal for SKIT’s Hairspray! show. 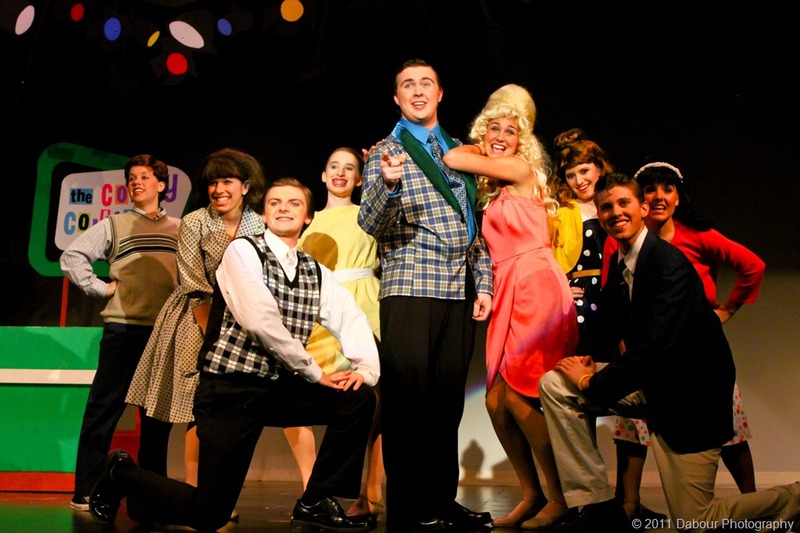 More back stage photos from SKIT’s upcoming Hairspray performance. 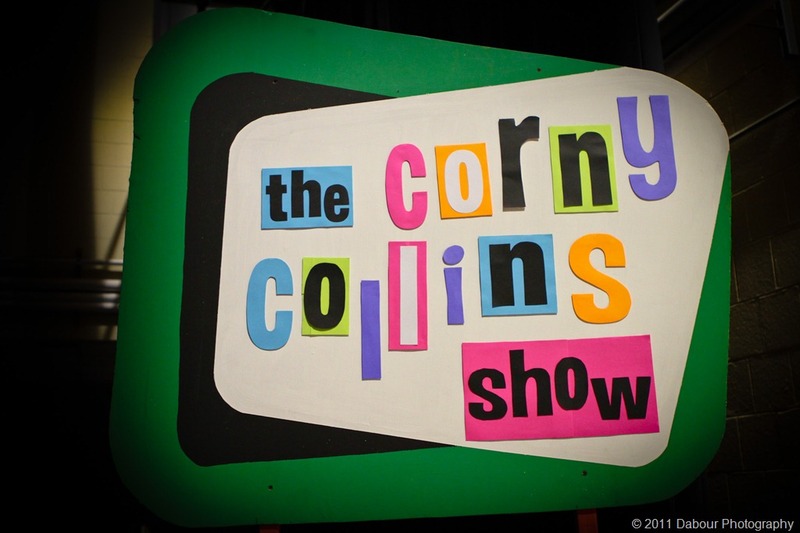 The show is really looking great – make sure you grab a ticket and come see the show starting Saturday April 30th. 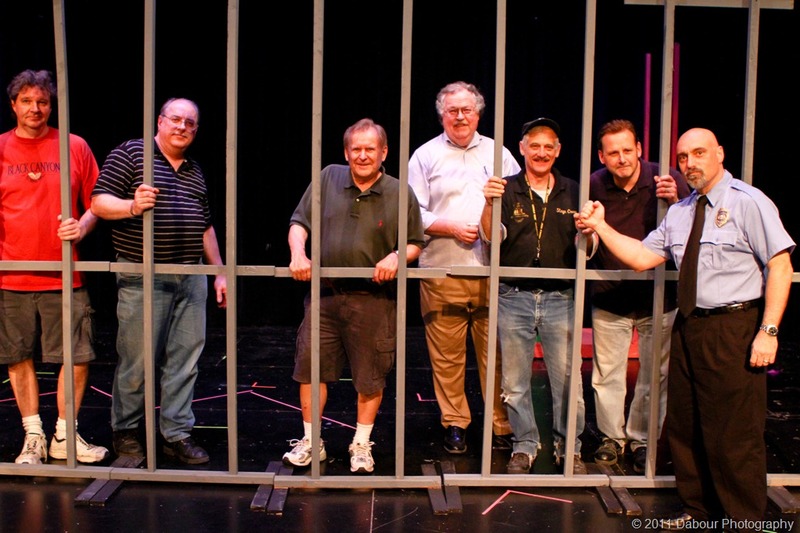 SKIT’s stage crew for Hairspray is “behind bars” and will likely remain there until the conclusion of the show. Help them get out and come see the show which runs weekends from April 30 – May 8th! 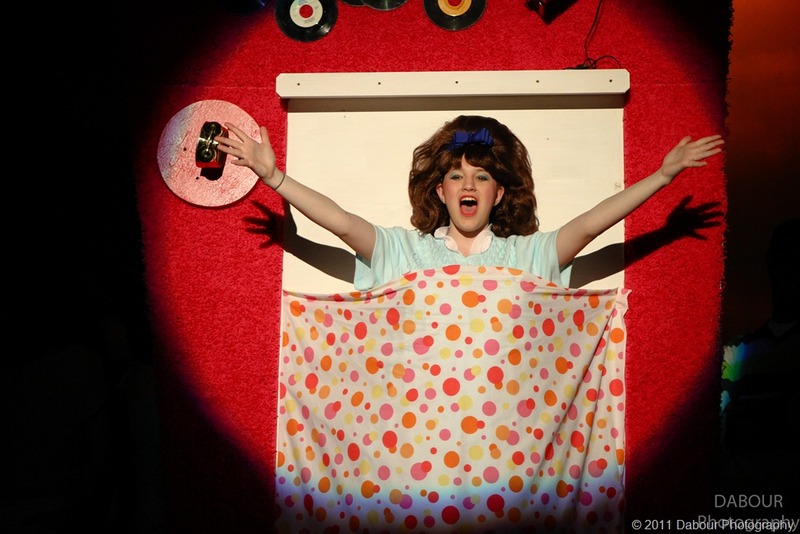 I was asked to create another prop for SKIT’s upcoming performance of “Hairspray” using one of my pictures. 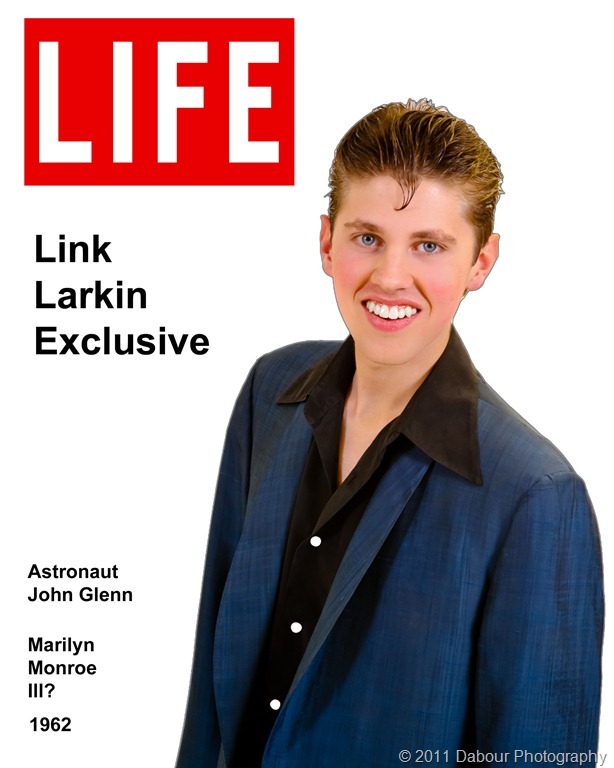 They wanted a magazine cover of teen heart-throb Link Larkin. I did a little research and came up with this (the show takes place in 1962). 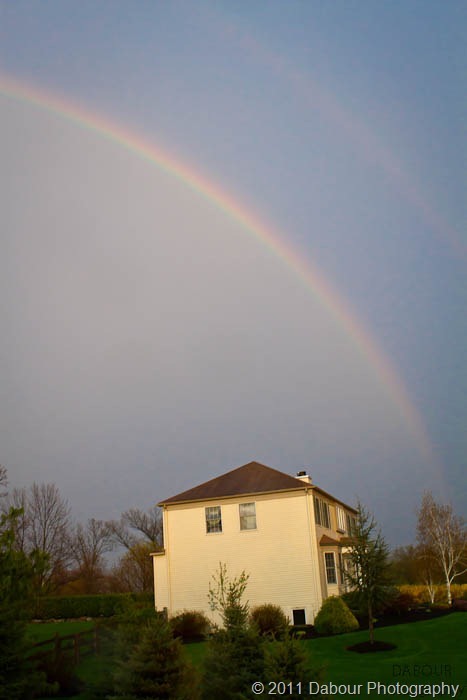 A late day thunderstorm on Eastern night resulted in a brief rainbow on the tail end. I was glad to see others captured similar shots on Facebook. 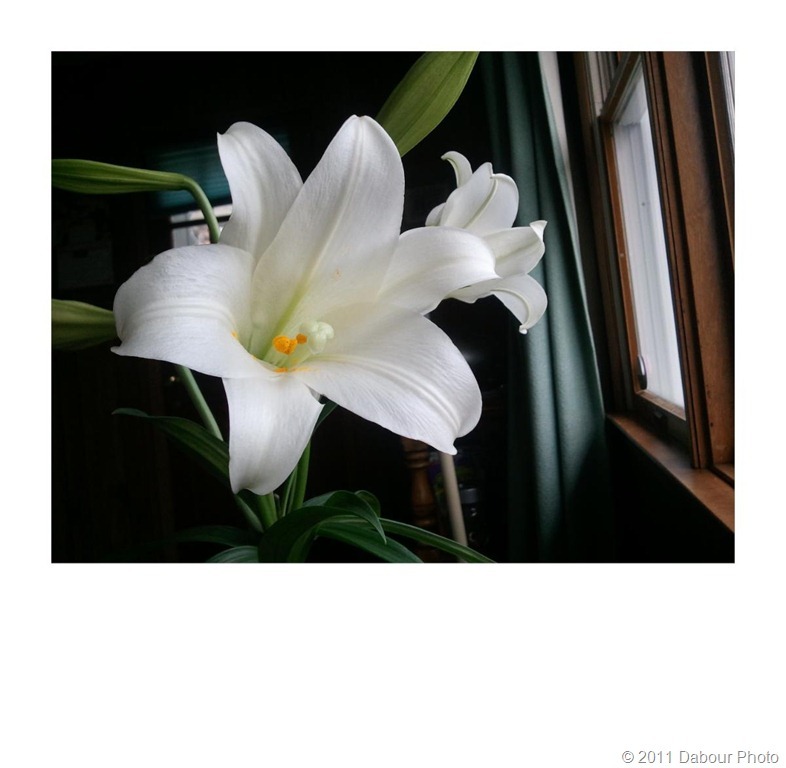 I had a tense moment while creating these photos. I also had my Flip video camera with me as there was lightening still going on in the area. I placed it on the deck railing and started capturing video as I was taking the stills. I *knew* this was a bad idea when I did it and fate proved me right. A gust of wind (who knew during a thunderstorm!) came by and knocked my Flip onto the floor. The screen went dark. Upon looking at the front I noticed several small dents on the front of the lens cover. Ouch. I tried to turn it back on to no avail. Thought of “why the heck did I ever place it on that ledge” started racing through my mind followed by the Flip now being manufacture discontinued by Cisco and I may not be able to replace it. I’ve had this for several years. I use it for casual video recording. It’s nice to have when you need/want some quick videos. When I returned to my home office I took out the batteries and tested them. I knew they would be fine since I just replaced them not too long ago. It was worth a shot. But the lithium batteries were still stronger than ever. I put them back in, said a small prayer, and tried to turn in on again one last time. It worked! But the video I was capturing was gone. I was hoping to view and post the camera being knocked down followed my maybe some snow. But that’s OK it works. So even though they are no longer going to be made, I’m sure you can still pick some up for sale and will be a liquidators I’m sure soon. So I heartedly recommend the Flip for their durability if nothing else!